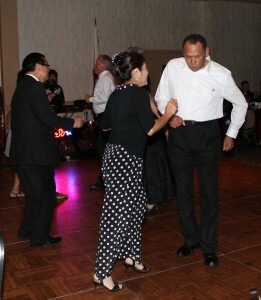 The Monterey Park Library Foundation held it’s annual fundraiser on April 26 at the Quiet Cannon in Montebello. 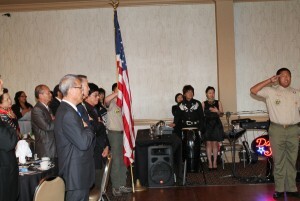 Members of Boy Scout Troop #301presented the colors and Richard Gorman led the Pledge of Allegiance. 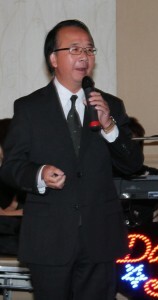 Dave Barron was the Master of Ceremonies. He introduced the VIPs to the guests that included Congressmember Judy Chu, Assemblymember Ed Chau, College Board Trustee Mike Eng, Alhambra School Boardmember Bob Gin, Garvey School Boardmember Henry Lo, Monterey Park Councilmembers Anthony Wong, Hans Liang and his wife Lani, Peter Chan and his wife, Jenny, City Clerk Vince Chang, former Mayor David Lau and his wife, Cici, John Scudder, San Gabriel Valley Water Boardmember Thomas Wong, Fire Chief Jim Birrell and City Manager Paul Talbot and his wife, Regina. Mr. Barron reminded the audience that Monterey Park and Montebello were once one city in 1916 and per a gentlemen’s agreement they separated into two cities when they expanded. Foundation President Peter Chan welcomed everyone to this event. You came to enjoy the evening and donate your money to the library. The money is put to good use to buy more books and e-books. The library is building up our e-books collection. He explained the history of the Foundation that has been holding fund raising dinners for close to 30 years. He thanked everyone for attending this event and for their efforts to support the library. 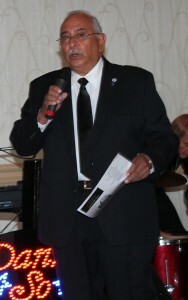 He thanked Danny So and his band, “The Little Beatles” for providing the entertainment. Enjoy the evening. Mr. Barron joked that it was OK to be late returning your library books as the fines support the library. City Librarian Norma Arvizu thanked the Foundation for this event. We have a full house. She thanked the Department Heads: Robert Quintero, Jim Birrell, Dan Costly, Annie Yaung, Tom Cody and Paul Talbot for supporting our library. 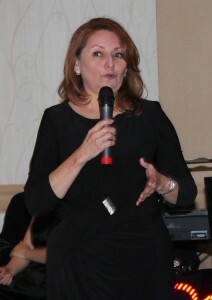 She thanked her staff for their support of the library and this event. She announced that the library would be opened on Friday, June 7 with limited hours. Have a wonderful time. Thank you for supporting our library. 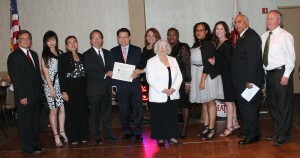 Former Assemblymember Mike Eng presented a proclamation to Norma Arvizu and Foundation members Dave Barron, Peter Chan, Joan Merino, Virginia Greene, Richard Gorman, Bob Gin, Doris Lau, Alicia Martinez, Deanna Sewell and Janet Yu. Education is so important. The library is about education. 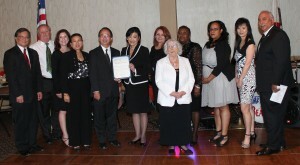 Congressmember Judy Chu presented a proclamation to Norma Arvizu and Foundation members Dave Barron, Peter Chan, Joan Merino, Virginia Greene, Richard Gorman, Bob Gin, Doris Lau, Alicia Martinez, Deanna Sewell and Janet Yu. She bragged that Monterey Park has the greatest library in the San Gabriel Valley. Supporters have performed miracles with the new library. We changed it around with the bond money and fund raising. She thanked all of the supporters. We can make it the best it can be. 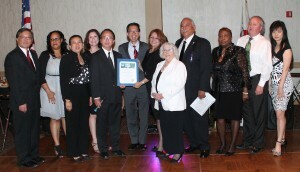 Assemblymember Ed Chau presented a proclamation to Norma Arvizu and Foundation members Dave Barron, Peter Chan, Joan Merino, Virginia Greene, Richard Gorman, Bob Gin, Doris Lau, Alicia Martinez, Deanna Sewell and Janet Yu. He stated with $2 million in cuts from the state. The Foundation with the bond money provided over $600,000 in funds for the new library. It was completed in September 2006. They raise funds for the community. The library is a place for students and families. It is important as it provides the LAMP literacy programs and books. We need a strong community. Mr. Chan reminded the guests the Ed Chau also attended La Salle College, their alma mater. They all sat together at one table. 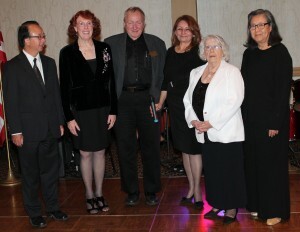 Norma Arvizu and Peter Chan introduced the Board of Trustees Kathryn Foster, Phil Smith, Joan Merino and Nancy Ishino-Gilmore to the guests. Kin Fung was not able to attend this dinner. She thanked them for their support of our library. 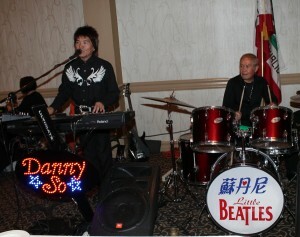 Danny Su and his band, “The Little Beatles” provided the golden oldies for the dancers. 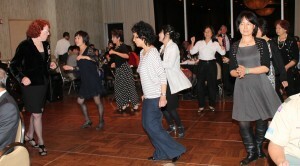 Many of the guests stepped on the wood floor to dance to the beat of their generation. 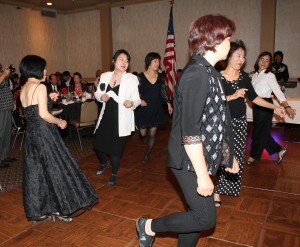 140 guests dressed in black and white enjoyed a wonderful evening of good food and fun to raise money to purchase additional e-books and supplies for the Monterey Park Bruggemeyer Library. 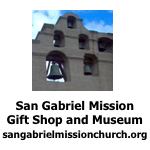 For additional information on the Monterey Park Bruggemeyer hours or to make any donations please call 626-307-1269.